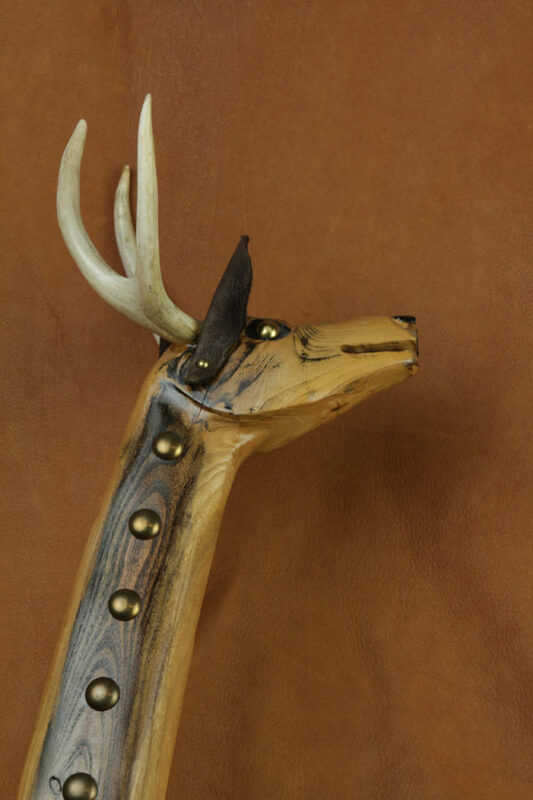 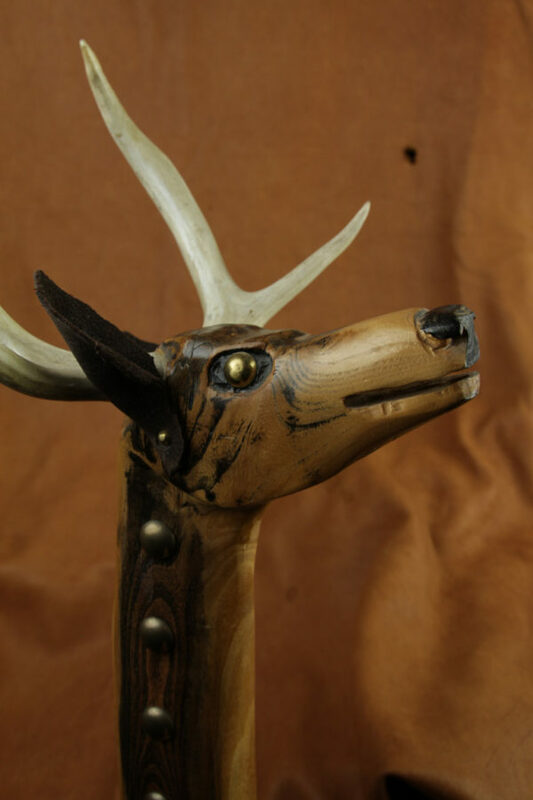 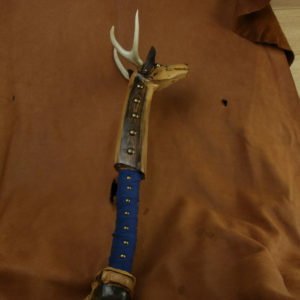 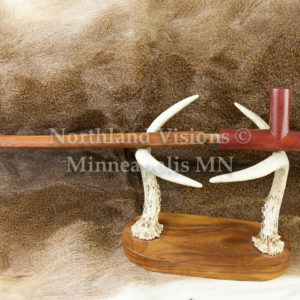 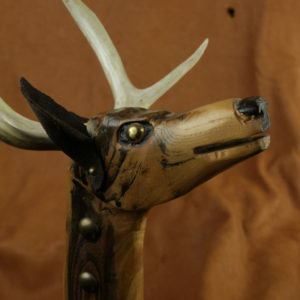 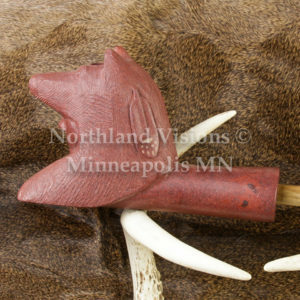 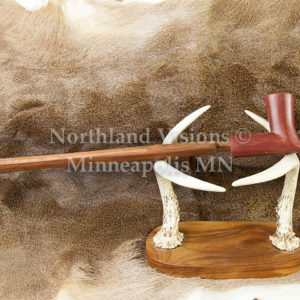 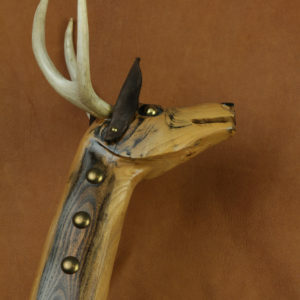 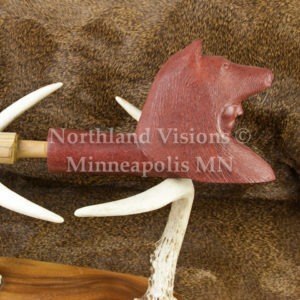 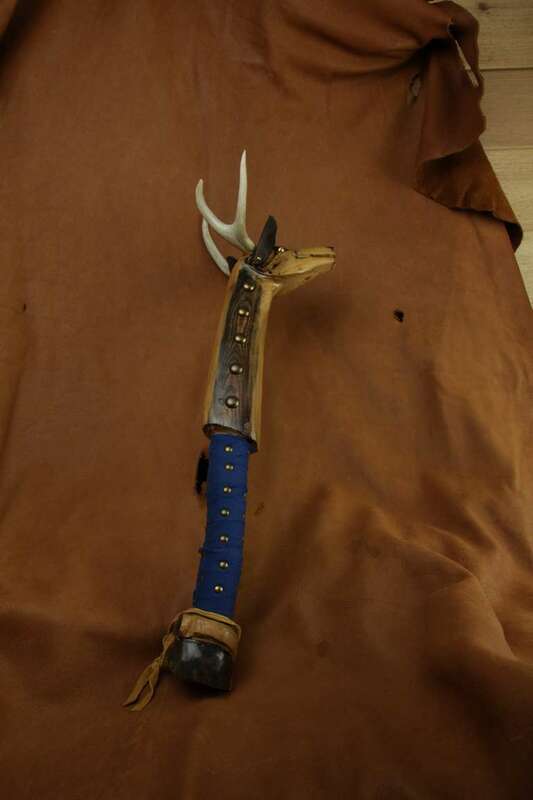 Carved deer dance stick on stand. 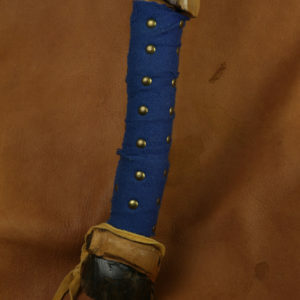 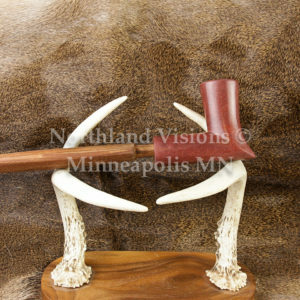 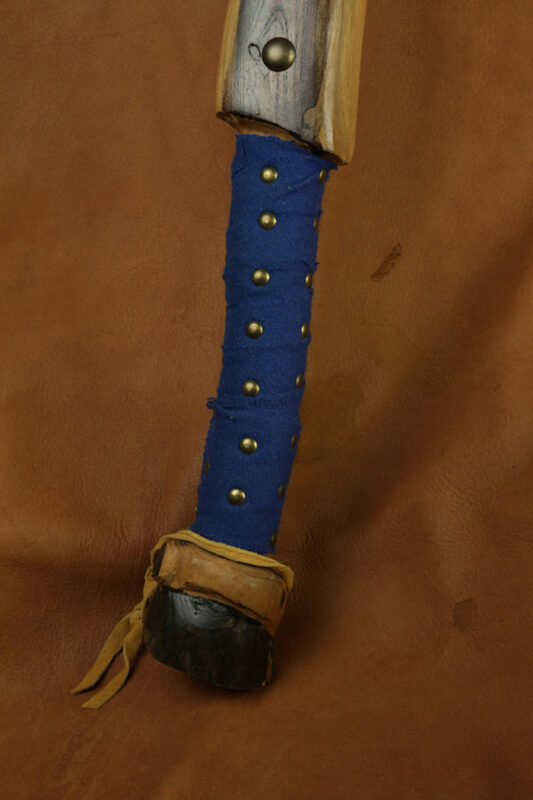 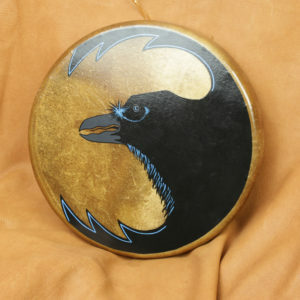 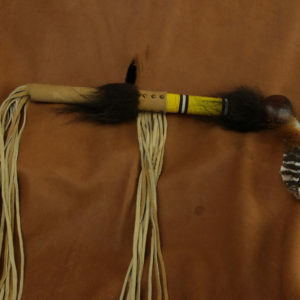 Made with olive wood, antler, wool. 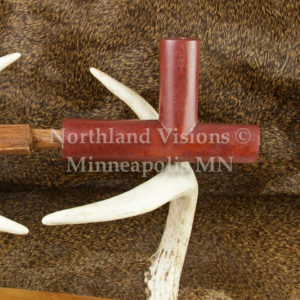 leather and metal decorative tacks.